I measure things for work all the time. Moles that look funny, diabetic foot ulcers, warts, soft tissue masses. Anything that I want to keep track of the progress or that needs a specific measurement to determine what billing code to use. I am very proficient at getting precise and accurate measurements. Apparently I have completely forgotten how to, or never knew in the first place, read an english ruler. Metric is 1000 times easier. I had asked Dusty to bring me a tape measure and asked that it had metric units knowing that the boots and shoes I was looking at either take both or just metric. Apparently we don't have a metric one at home, so he brought what he could. I grabbed the following pictures to send to whatever company I decide on as well as post here. 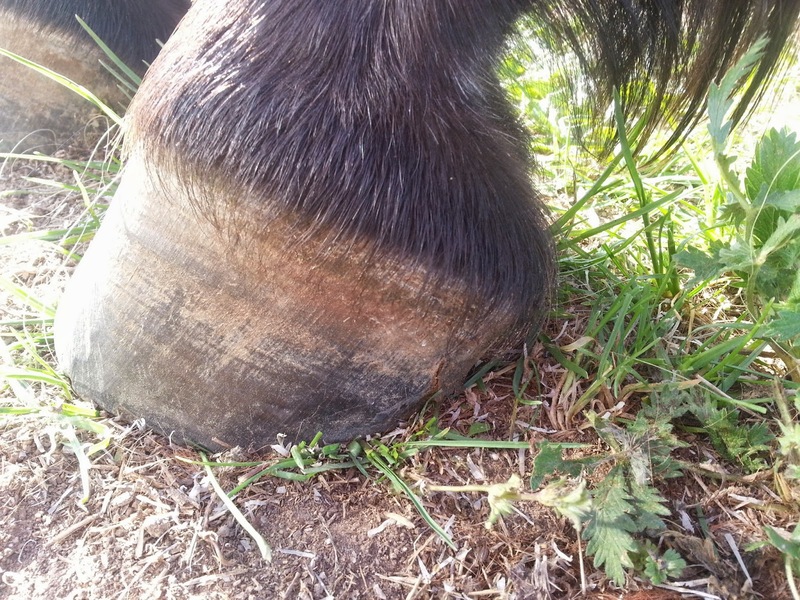 She was trimmed on Monday of last week and these were taken Sunday, so nearly a week out. I am really pleased with them. The heels are definitely no longer like stilts or stilettos and if I can get the miles on her I think her frogs with start to respond fairly quickly and widen back out. 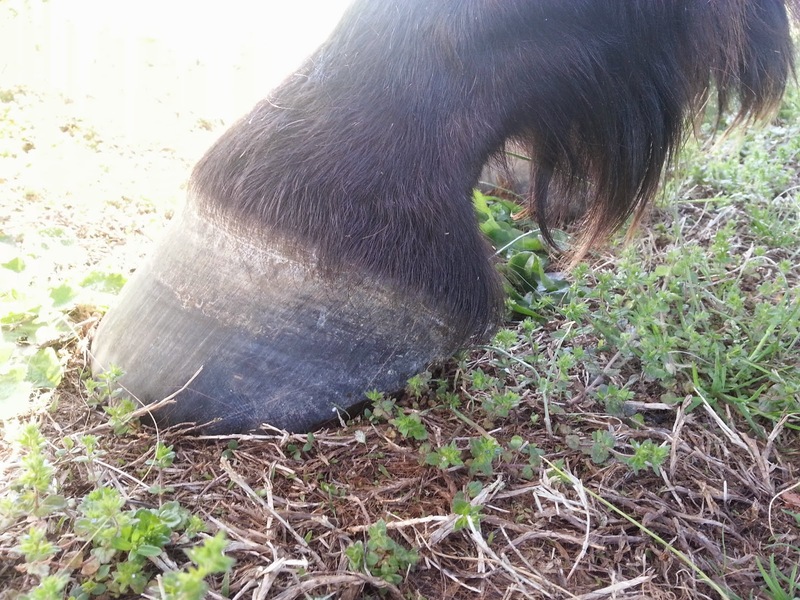 What I am still concerned about and what I doubt will ever change is how vertical her hoof wall is if you look from her toe to the coronary band. 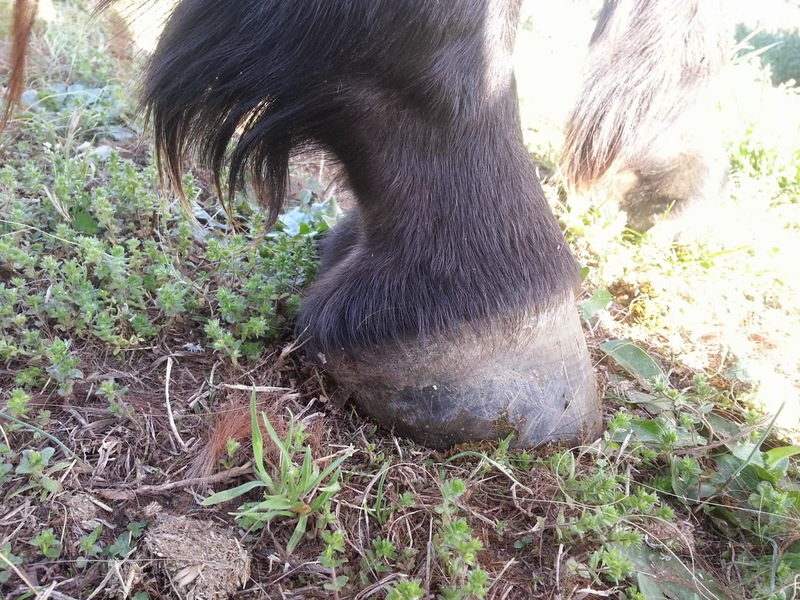 Thats what precludes us from most boots: the angle of her hoof is just much steeper than that of the boot and her toe doesn't seat well. Even with her heels as low as they should naturally go she still doesn't fit well. I'm no expert, but to me it seems as though the bars have been trimmed as mush as possible right now. They are either even with or slightly lower than her frog height. From research I know that the frog will grow to "reach out to" the ground when the bars are really long and this can create a thicker than needed frog that really isn't very supportive as it also contracts. Keeping the bars lower can allow the frog the shed and become thinner while actually also becoming stronger and more supportive. With time I can get the bars down some more, but really her heels have always been slightly higher than the "normal" and that is a reality I will always deal with. Overall though I am really happy with they way they are looking right now. I have taken all of your suggestions and will be trimming them myself for now. 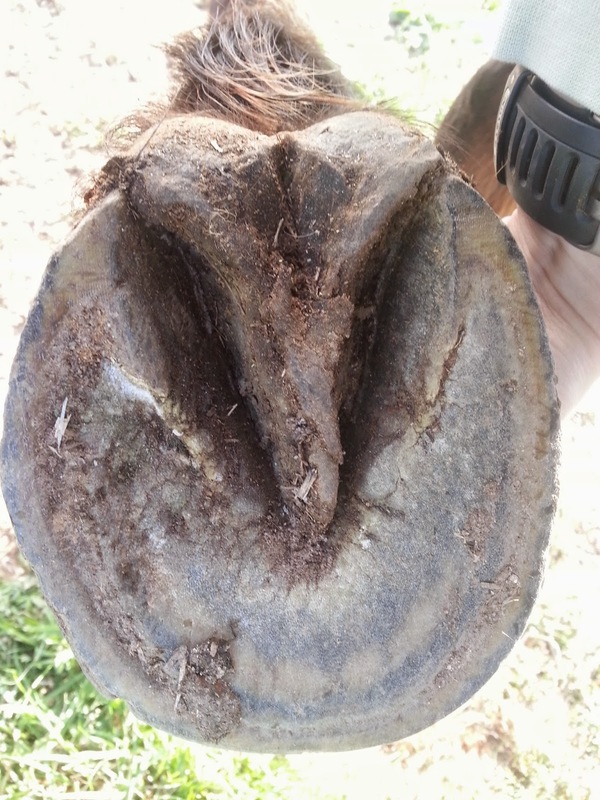 I will probably have a farrier come look at my handy work in the near future to make sure I am on the right track. I will get a rasp and do a little every week or so to maintain. I know I am not an expert, but I know her hooves like my own feet and have enough research base to at least hopefully not make her lame. I grabbed the measurements, but seriously I really stink at reading the ruler and had to take a lot of time figuring out the 1/8" and lower marks. I plan on snagging one of my rulers from work and redoing it in metric before ordering anything. Apparently I didn't save the memo on my phone so it is all lost :( Well, I said I wanted to do it again anyway, didn't I? From what I recall of my quick reference to Easycare she would be in either 0 or 00 for epics, but gloves were in metric only so I couldn't look those up. Guess I will just have to go back out and try again. Sigh. At the moment I am leaning towards trying the Epics out. I know the cables can really stink but they seem to provide the most flexibility in fit while still staying on. Maybe I am just wishful thinking. 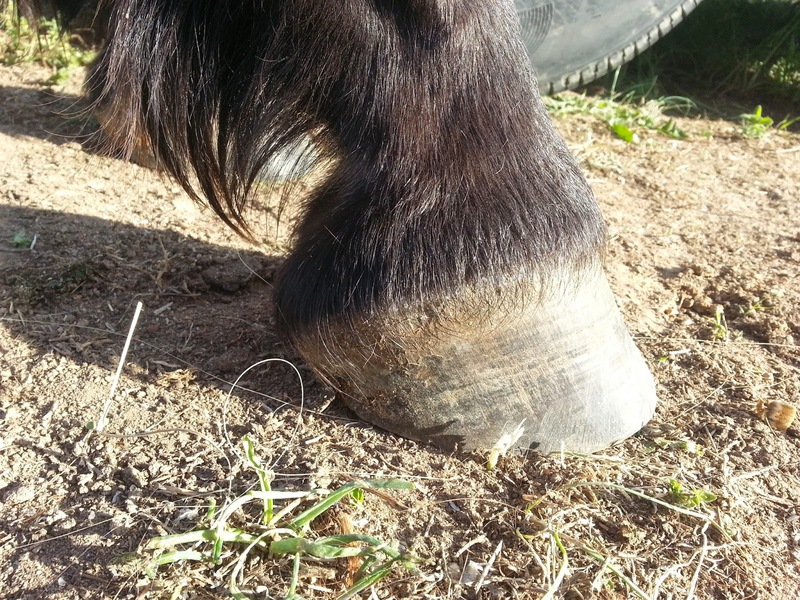 I would love boots to work though because after watching all the Epona and Easycare videos on gluing shoes it is a royal PITA and I doubt whether I have the patience to go through the 100 steps it takes to get them on. I also remembered to grab my Fusion boots to get cleaned up and put online for sale. Hopefully someone wants them as they really are a good boot. 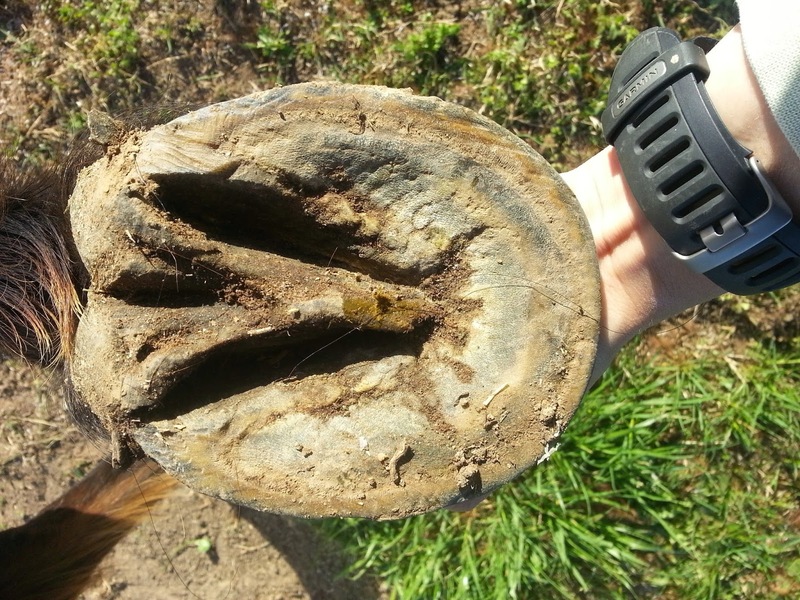 If they made their new slim version in her size I would gladly use them as she moved out super well even on gravel and they stayed on through mud, creeks, clay, roots, logs, jumps and at every gait (minus gallop). They did cause rubs though and so they are going up for sale with only 22 miles on them and little to no wear. Someone buy them, please!!! Thanks! 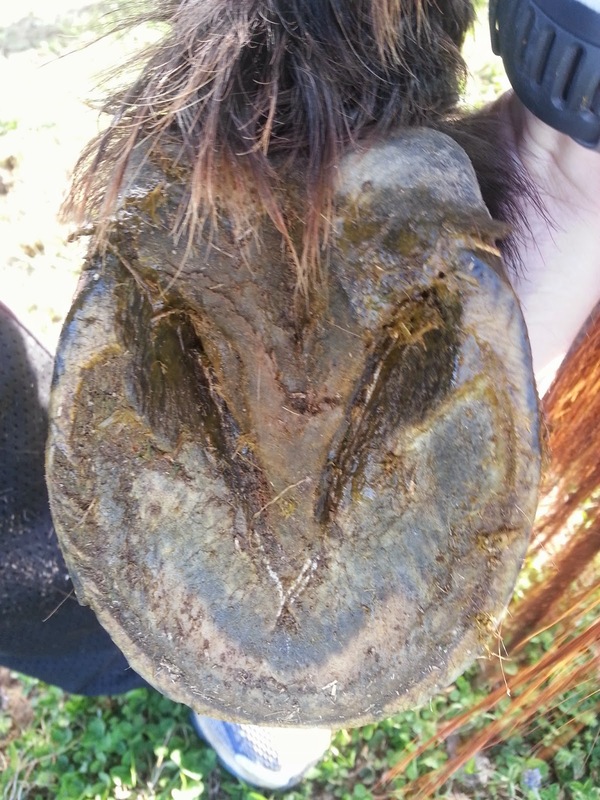 If I remember right I think she used glue on boots the last few rides, but I could be mistaken. I know the Renegades didn't work for her. I will have to head over and ask her. I was really happy with the way they looked this weekend. She uses Gloves. :) It's because of Funder that I decided to try Gloves myself. She uses glue-ons for 100s but the Gloves for 50s. I had talked to her about using glue-ons for 50s and she had felt it wasn't worth the cost and the hassle for that distance. And her feet look beautiful! You might be able to use the regular Renegades on her hinds. 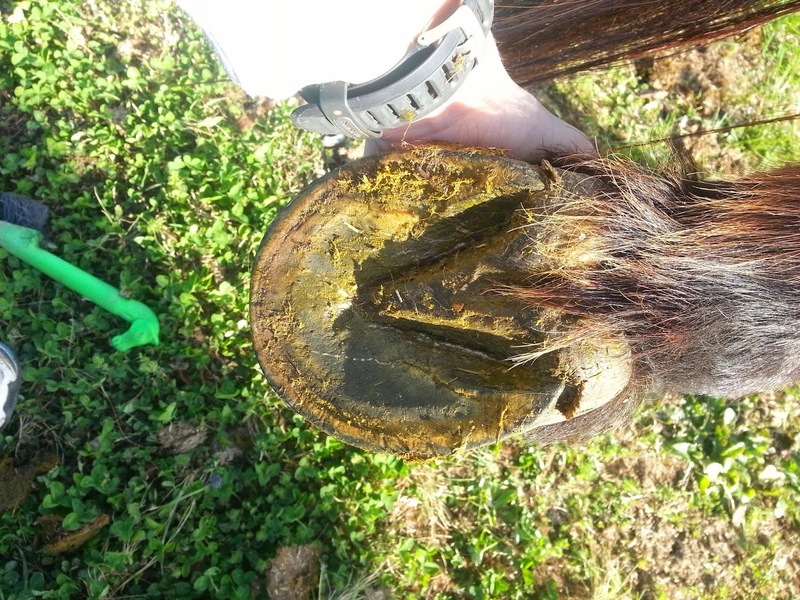 Maybe send pics to Mel or Ashley (from the Go Pony blog; she is a Lander rep and is awesome!) and get their opinion. They will be 100% honest with you about whether they might work or not. Measurements and Boot Sizing: Opinions, please! What To Do During Competitions?